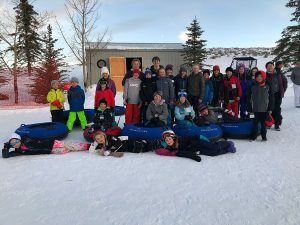 Patricia Kempton felt immediate pangs of sadness and sympathy when she learned recently about the experience of a diabetic student who hadn’t received proper treatment from the Park City School District. Five years, she said, has not been long enough to forget the dread and anxiety that surged through her on one of the worst days of her life — the day, she claims, that the district’s deficient care put her son’s life in jeopardy. "I could cry basically every time I think about what happened," she said. Kempton is among several parents who have stepped forward to share their stories in the wake of a U.S Department of Education’s Office for Civil Rights investigation into the district’s treatment of a diabetic student at Parley’s Park Elementary School. The inquiry determined the district had discriminated against the student by forcing a parent to accompany her on field trips and had failed to properly implement the Section 504 Accommodations Plan that outlines the special care she requires. That investigation, which began in November, came to light only recently, when Bridget Llewellyn, the parent who filed the initial complaint with the Office for Civil Rights, released documents to The Park Record detailing the district’s improper actions. Other parents are now claiming their students have experienced similar situations of neglect or inadequate care at school. They say the district has a history of providing insufficient support for students with diabetes or other health conditions, and their stories establish a longer record of school officials failing to quickly alleviate the worries of parents who raise concerns. For Kempton, the trouble began at the start of her son’s sixth-grade year at Ecker Hill Middle School five years ago. He had been diagnosed with Type 1 diabetes only a year prior, and the stress of transitioning to a new school full of new teachers and classmates was causing large fluctuations in his insulin levels. Kempton, worried about how he was adjusting, recalled receiving little support from the Ecker Hill staff. But she never feared for his life until she got a worrying text from him one otherwise normal day. The message was incoherent, but she pieced it together: "How did I end up on the floor?" She called him immediately. Panic began to strike when he didn’t answer. She then called the main office, frantic, as she sped to school. But that also proved futile. "I said, ‘Where’s my son?’" she said. "They said, ‘Well, he should be in class.’ I said, ‘If he’s in class, he’s on the floor. There’s something not right. He’s not answering his phone.’"
She dialed her son one more time, then sent a text when he again didn’t answer. This time, he finally responded. But this message, too, was hard to decipher, though she eventually concluded that it said, "Office." When she arrived, staff members had found him, alone, in the nurse’s office. He was conscious but confused. "I shudder to think what would have happened to him if he didn’t text me," Kempton said. "No one knew where he was, and I don’t know if anybody would have found him." Later, she learned that her son had asked to leave class because he wasn’t feeling well. He went to the nurse’s office, thinking there would be someone there who could help him. To this day, though, Kempton doesn’t know what happened after that, or exactly how much danger her son was in, because he, himself, didn’t have a clear recollection — and no one had accompanied him to the nurse’s office. That, Kempton said, was in direct violation of his accommodations plan Park City schools were legally bound to follow. Fearing her son’s safety could not be guaranteed, she pulled him out of Ecker Hill. She home-schooled him for two years before enrolling him in classes out of the district. "I told them that he has a full-time illness and they didn’t have a full-time nurse," she said. "I didn’t see how they would be able to take care of him properly." Sara Sergent, whose diabetic son is a fourth-grader at Parley’s Park Elementary School, is another parent who has long held concerns about how the district cares for students with medical conditions. When her son was entering first grade, she sat down with a district official, hoping for some guidance on how her son’s condition would be handled at school. The meeting, she said, was unhelpful. Following the meeting, she sent multiple emails to the district that she said went unreturned. Eventually, she gave up and began going straight to David Gomez, principal of Parley’s Park, with her concerns. He, along with the rest of the staff at the school, have done all they could to help, she said. "There is a disconnect between the district and the schools," she said. "The parents and the families have adapted to just working directly with the schools, and the schools have been as helpful as they can — obviously their hands are tied a bit by the district. It’s an unfortunate series of events." Multiple parents The Park Record interviewed echoed Sergent’s sentiments. But even when teachers and principals have done as much as they can to accommodate students with health concerns, the level of care has often fallen short, they said. Kempton, for instance, implicitly trusted her son’s fifth-grade teacher at Trailside Elementary School to keep him safe after his diagnosis earlier that year. She felt assured when he was in class. Even so, she said, it was implied that she was to be available to provide care for her son because a nurse would often not be present. Sergent also was forced to care for her son while he was at school. She said she didn’t work away from home for his first- and second-grade years because she "pretty much lived at the school." Often, she would spend several hours a day there. At the time, she was simply grateful she had been granted open access to the school. Now, though, she feels compelled to speak out. "We stuck with working with the school, knowing a lot of (our son’s) rights were being violated, but we were happy with the school and the teachers were amazing," she said. "We’ve kind of plugged away, and it was really Bridget (Llewellyn, who filed the Office for Civil Rights complaint against the district) calling the obvious truth and saying, ‘There’s a problem here.’ Yes there is." Another parent, John McNulty, removed his son from the district after his accommodations plan for attention deficit hyperactivity disorder (ADHD) was, he claims, seldom followed at Ecker Hill. 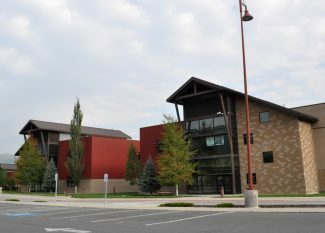 When McNulty reenrolled his son in the district before the 2014-2015 school year, counselors at Park City High School were unaware he even had an accommodations plan, he said. "The problem that I see, generally, is how does this information get from point A to point B?" he said. "Because it doesn’t seem like the district cares." Other parents also shared their stories with The Park Record but declined to be named in this article. At least two were hesitant to go public because they feared retribution from the district. Superintendent Ember Conley said she has been taken aback to hear that several parents have had negative experiences with the district. "I am surprised because we have excellent staff that truly care about our kids in the district," she said. "And so the perception that our staff doesn’t care is a perception that I disagree with. In all of our data, our teachers are beloved by this community and they take care of our kids. "We would never do anything to harm them." 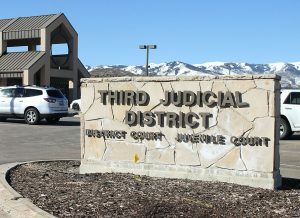 Conley said that, apart from Llewellyn’s complaint, she is aware of only one formal parental appeal, which was resolved without intervention from the Office for Civil Rights. Another parent recently contacted her with concerns in an informal setting, and other parents of diabetic students have thanked her for how the district has cared for their children, she said. She added that the district is committed to training staff to better handle students with medical needs and will seek to reevaluate and rewrite applicable policies. 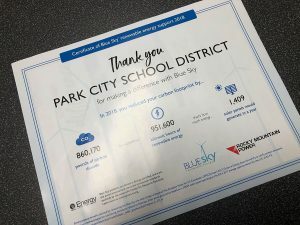 The district has also met with the head nurse and the special education director at the Utah State Office of Education to begin addressing any deficiencies. "It’s an opportunity to review and make things better," she said. "But I have heard just as many positives as I have negatives, if not more." Conley is hopeful parents see the steps the district is taking. The Board of Education in a May 17 public meeting authorized her to hire an outside entity to perform a comprehensive review of the special education program, including how the district handles the Section 504 process that covers accommodations plans. She said in the meeting that the review will include reaching out to parents to find how the district can make the system better. "This could take some time," she told the Board, "but I think this is one that we need to take our time and get a lot of information so we can do that next step of improvement for that." The superintendent has also expressed a desire to hire three additional nurses, bringing the districtwide total to seven. However, the Board appeared hesitant at the May 17 meeting when presented with a budget scenario that included about $250,000 funding for the new nurses. The Board, while not ruling out hiring more nurses, asked Conley to provide information about the best practices of comparable districts, both in Utah and nationwide, and wondered whether other staff members can be trained to carry out some of the services nurses provide. The Board also asked for an analysis of how the need for more nurses fits in with the need for other support staff, such as counselors. Conley said in the meeting that most districts in Utah do not have one nurse for every school, while many others nationwide do. Currently, there is one nurse for about every 1,500 students in Park City. Three additional nurses would lower that ratio to roughly one per 850. School leaders in Park City are far from the only ones grappling with these issues. 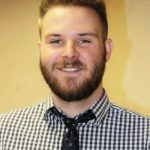 Michael Shay, an equal opportunity specialist and investigator for the Office for Civil Rights’ Denver office, which oversees Utah, said many other districts have also had to determine whether they can provide full-time nurses. Disability cases, including ones involving diabetic students, are the most common the Office for Civil Rights investigates. Most of the complaints, Shay said, concern the ability of districts to provide medicine — or insulin — to students throughout the day rather than calling on parents to do so. The trouble is when that interferes with a student’s right to a free and appropriate public education. "With a lot of budget issues with public education, generally, we have seen more part-time service providers — not just necessarily nursing — that are not on each school’s staff but rotate through a district or sometimes even multiple districts," he said. Kempton, and many of the other parents calling for change, say that is not good enough for Park City. She said she loves the community and wants to see the school district earn recognition for all the good things it does, rather than for the negatives. That is why she decided to go public with her experiences. "If no one speaks up, then things don’t change," she said. "I’m of the mindset that sometimes you do have to bring attention to something for change to come. Type 1 diabetes is a difficult disease. I would hope that the school district would be making steps to provide the right amount of care."